Powdery Mildew- What is it? Not having to deal with Powdery Mildew at some point in your gardening adventures is rare, as Powdery Mildew is one of the most common garden ailments. Whether you’ve dealt with it before, or may deal with it in the future, we’re going to break down what Powdery Mildew is, what it can do to your plants, and how it can be treated and prevented! What is it, and what can it do? Powdery Mildew is a fungal disease that is made up of many different fungal species. Each fungal species impacts different plants, sometimes just a couple of different plants may be impacted by one fungal species, and sometimes many more! Like all fungi, Powdery Mildew reproduces through spores spread by the wind, insects, animals, and gardeners! The disease favors areas of high humidity, low air circulation, and shade. Powdery Mildew on Dogwood leaves. We commonly see Powdery Mildew on Dogwoods. Symptoms usually begin to appear as small white, dusty looking spots that eventually spread to cover the leaf’s surface, giving it the powdery appearance that afforded Powdery Mildew its name. Leaves, flowers, or fruit that are covered in Powdery Mildew do not develop properly. 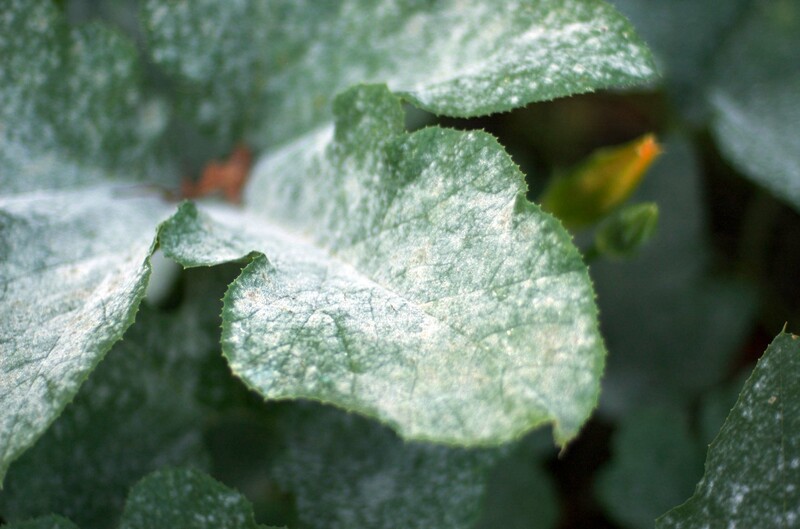 Plants with Powdery Mildew tend to grow slowly, lose foliage, and have trouble photosynthesizing. Although it’s aesthetically unpleasing, Powdery Mildew alone does not usually kill plants- but it does weaken them enough to encourage secondary invaders (either insects or disease) that will be able to kill the plant because of its weakened state. Make sure there is good air circulation between your plantings, which can be achieved either by selective pruning or considerate spacing when making your initial plantings. Plant in sunny places whenever you can! Remove and discard infected plant material to help discourage spreading the disease. If you’re unsure if your plants have Powdery Mildew, or you would like help with treatment or prevention, Contact Us to set an appointment with one of our Consulting Arborists.